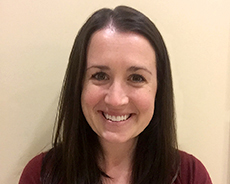 Jenna is a Licensed Clinical Social Worker with a wealth of experience providing individual, group and family therapy. The majority of her experience has been working with teens with depression and anxiety. She also has deep experience with the foster community and with LGBT youth. Jenna’s passion for social work is grounded in her desires to help people excel and thrive in their lives. During her free time, Jenna enjoys going on “adventures” and exploring the Bay Area and all that it has to offer with her two toddler sons.